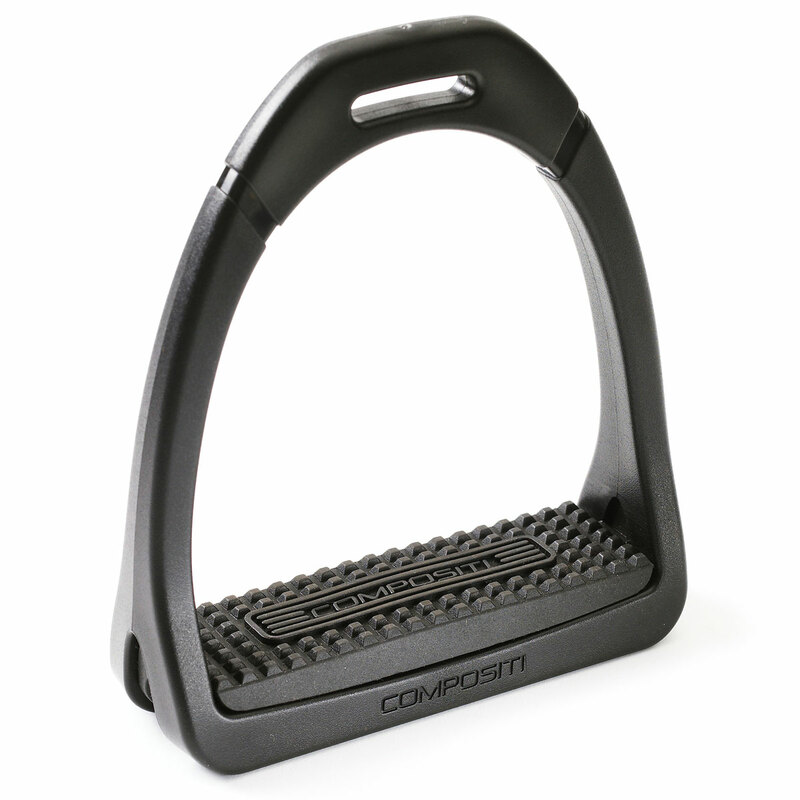 The Compositi Premium Stirrup Irons are presented as Composti's new designer stirrup. 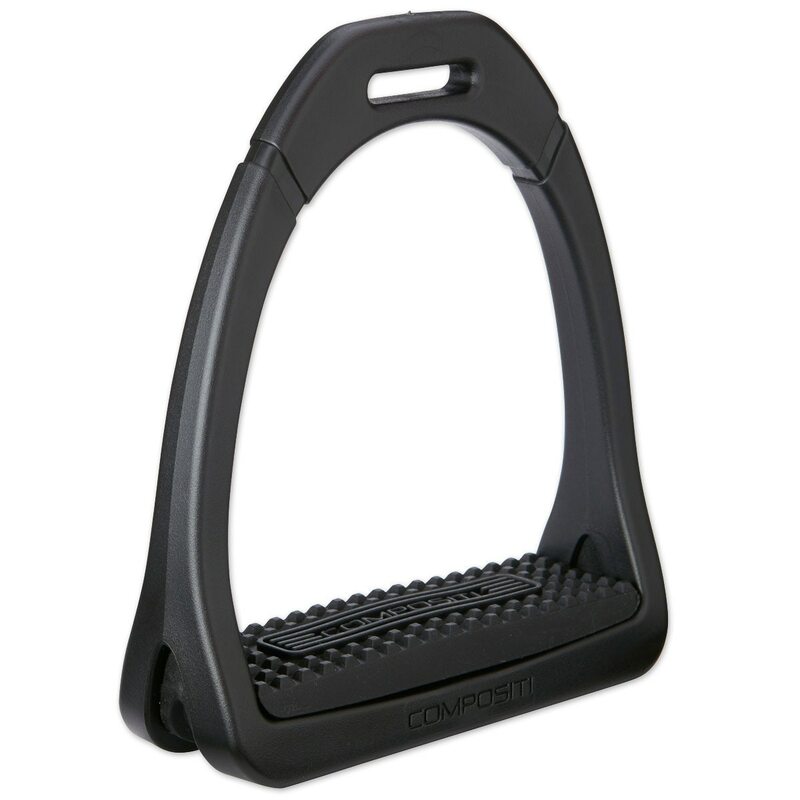 These stirrups offer reinforced grip and high resistance to exertion.The innovative materials used to produce this stirrup make it even more effective and comfortable, while retaining the qualities of the brand: elegance, light weight, sturdiness. 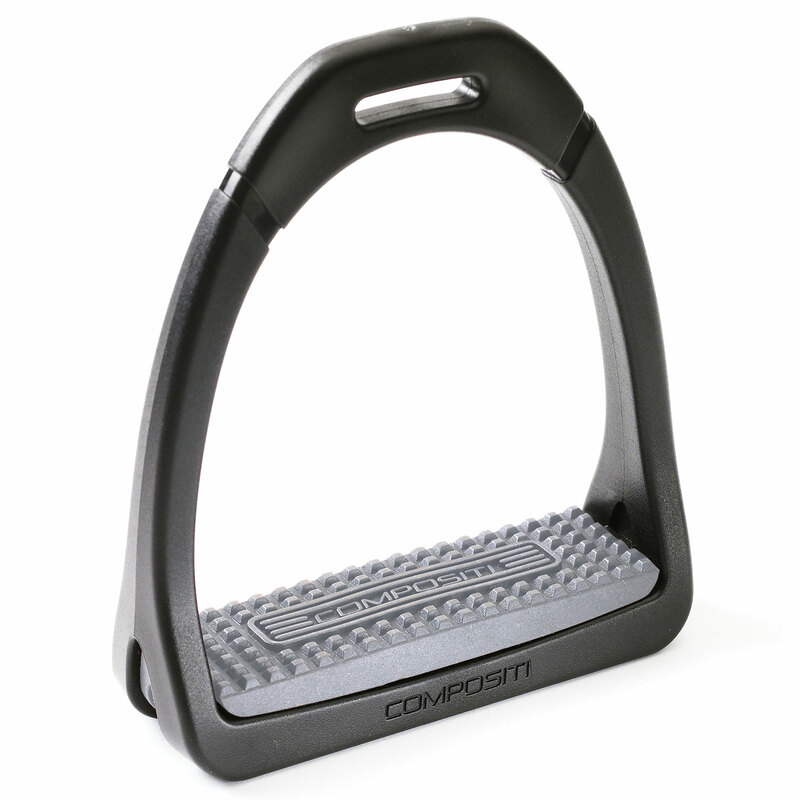 Compositi Premium Stirrup Irons is rated 4.7 out of 5 by 69. Rated 3 out of 5 by dslh from OK - Maybe not my favorite. Needed a new pair of "irons" and thought I'd give these a try since they were about the same price as a cheaper pair of jointed irons like I usually ride in. Was worried that I might lose them more often or have trouble picking them back up due to how much lighter they are - and they are much lighter. However, I haven't had that problem - they just aren't really for me. It is what it is at this point I guess, but if I were you, I'd just buy regular fillis irons or cheaper jointed irons with the $ unless you know you specifically like the lighter composite "irons" already. If you do, then this is probably a good product for the money - very light and seem well made, though i can't speak to durability. Rated 5 out of 5 by Sarah from Super Impressed I bought these stirrup irons for a new saddle that didn't end up working out. But the stirrups are another story. I love them! They are super lightweight and well-constructed. It's great b/c they don't fall down the leathers when you lunge, nor do they bang against my sensitive horse's sides. The best part is that I'm able to put and keep my heels down so much better, which gives me a more secure and comfortable ride. I can't believe these wonderful, ride-altering items were so cheap! Rated 5 out of 5 by natalie from Super Nice I bought these about a year ago and have been using them since. They are super comfortable and not breakable at all. Very easy to put on and off stirrup leathers. I would say they are very safe because they are pretty big making it hard for your foot to get stuck. Love them!! Rated 5 out of 5 by Alexa711 from Best stirrups for the price Absolutely love these stirrups! They look so expensive for being so cheap. 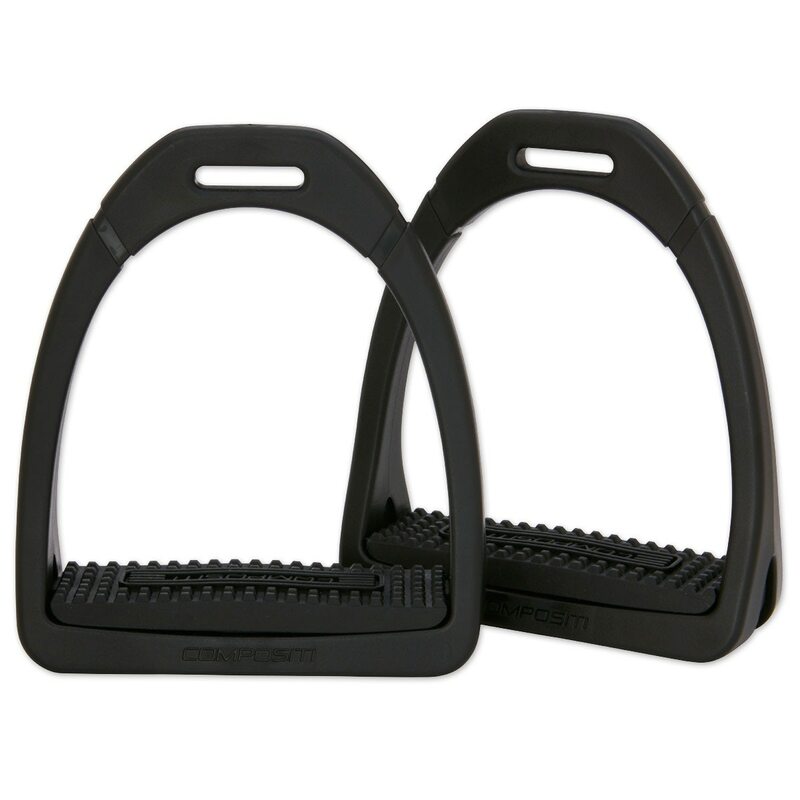 When ordering I saw comments about them being harder to get back when you loose one, but I actually found that for me they were easier to get back than my traditional metal stirrups. Super grippy too, so you’re less likely to loose one. Not clunky and if you don’t have a secure leg they’re super nice because they won’t bang on your horses sides. Rated 5 out of 5 by Stephanie from Very nice! I bought these stirrups because I wanted lighter stirrups but stirrups that also would be comfortable for my feet on long rides. Read the reviews and bought. I love them and will probably buy another pair for my other saddle. If I lose a stirrup, I have no trouble finding them. They are comfortable for my feet, leg and knees and I love the colors. a win win. Rated 5 out of 5 by rerider58 from Lightweight, wide tread for comfort These are my first composite stirrup "irons" (we'll need a new term!). Yes, a heavier stirrup would be easier to recover if lost. But the tradeoff is worth it to me in terms of less weight to lift when I'm tacking up. And there's another benefit. A friend with some arthritis and foot problems used these stirrups on a recent trail ride with me. Because the Compositi stirrup tread is broad, she reported her feet were still comfortable at the end of the ride--not her usual experience! Rated 5 out of 5 by JaimeCho from Great for my sensitive horse I own an extremely forward horse. He barely needs any leg of any to go forward, he appreciates light leg hugging his side but goes absolutely wild when your leg is flailing at his sides. I own MDC stirrups which are great but they are actually quite heavy and if you don’t have a super strong leg they will annoyingly hit your horses side. Most horses don’t mind but my horse got wound up by my weak leg and the heavy metal hitting his side at the canter. These are so much lighter so I’m able to hold my leg and super light that even if it did hit his side he didn’t mind. His canter has gotten so much more calm and relaxed with these new stirrups. They are definitely worth a try for the price! Rated 5 out of 5 by Sabrina from Love them' I bought cause I wanted something that was light weight, and these irons are wonderful. They look more expensive then they are! Great product. Makes my saddle easier to carry. Regular irons due add lots of extra weight. Rated 5 out of 5 by Hannaisselhardt from Perfect for anything Great quality and very durable. I have used them for a couple months now and they are perfect.